a drop of the clear, slightly opalescent fluid secreted by the lacrimal glands. Tears are slightly alkaline. They contain as much as 99 percent water and 0.9 percent inorganic matter, chiefly sodium chloride and small quantities of sodium carbonate, magnesium carbonate, calcium sulfate, and calcium phosphate, as well as the antibacterial enzyme lysozyme; other proteins constitute 0.1 percent. Tears moisten the anterior surface of the eye and prevent it from drying, wash foreign bodies out of the conjunctival sac, and participate in the nutrition of the cornea. 1. In roofing, the horizontal distance from the face of a wall to the ridge of the roof. 2. 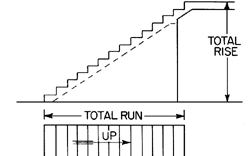 In stairways, the width of a single stair tread. 3. The horizontal distance covered by a flight of steps. 4. The runway or track for a sash. Tape seal - clear, white & PMS 294, 10" X 14" BAG + 2" tear off receipt, white co-ex film, 2 mil. Bears think with their stomachs, and they'll tear off a car door if they think there's food inside,'' Martarano said. 8 seconds to tear off an old style stamp, lick it and stick it on a letter. At a hippie-style Santa Barbara wine festival, he can't even bring himself to tear off his clothing and jump into the vat with his fellow revelers. Checkstand displays allowed customers to tear off donation slips to add a donation to their order. The first should be a complete tear off to decking and replace with modified bitman torchdown rubber, fix or repair all sewer vents and any decking that is not safe. In Reynolds research, more than 40 percent of consumers noted that plastic wrap wasn't easy to tear off the roll.